AK: At times, Swami takes the boys out on a picnic, where He almost plays with the boys. Sometimes, He even sings with the boys. All sorts of funny things happen. AK: That is right, into a totally different world. They had come so close that they even took the liberty of almost pestering, saying, “Swami, let us see, let us see!” Swami gave ample opportunities for all to see these manifested objects at close quarters. He would keep them on the table so that everybody could later see at some leisure. Photographs would be taken and some of them are here in our MUSEUM also. GV: Fantastic! Can you recall some really moving, spectacular, or heart-warming incidences? I am sure there must certainly have been a few of these. AK: Well, there was an incident involving a student from the State of Kerala. GV: How long ago did this incident take place? AK: About six to eight years ago. Swami was showing special concern for this boy. We were wondering why? In fact, I was even jealous! Swami materialised a ring for him, a chain for him, a watch for him, and so on, and it seemed as if the whole trip was meant just for this boy! After a few days Swami materialised a pair of ear rings for that boy. AK: Yes sir, ear rings that only girls wear. How is it that He materialised ear rings for the boy? We just couldn’t understand. The next day, Swami materialised another set of ear rings for the same boy. I thought to myself, “Swami I have three daughters, you can give me also one (laughter), why only to that boy, an unmarried fellow?” Then after a week, while delivering a Discourse, Swami said, “Many are wondering why Swami showed special concern to one particular boy. Some are specially curious to know why I gave ear rings to that boy. That boy lost his mother long back. I have been watching the boy crying and sitting in a corner. I called him close to Me and asked him about the reason. He then told Me about the death of his mother and how his mother wanted to present ear rings to her two daughters, that is the two sisters of this boy. Before his mother could do that, she died. Now, I am his Mother and also of those girls. Who else is there to care for them? That is why I materialised many things for that boy. You will seldom understand what I do. Whatever I do and say has got a deeper significance and inner meaning. Out of frustration, the boy’s father wanted to commit suicide. I made the boy’s father to come here, took a promise form him that he would not make any attempt to take his life. I am now taking care of the family. From that day onwards, the boy has started smiling.” That story really touched my heart. I said, “Swami you are the MOTHER of MOTHERS, dearer and nearer than the physical mother. You truly care for them”. I am sure none of us can really experience the depth, and the full intensity of Swami’s Love. GV: Yes, that’s true. Swami has always that feeling towards us; only, we are not able to see that. Instead we go around making all sorts of silly statements like, “Swami is angry, so He will not talk,” and so on. We do not realise that Swami cannot be anything other than loving. 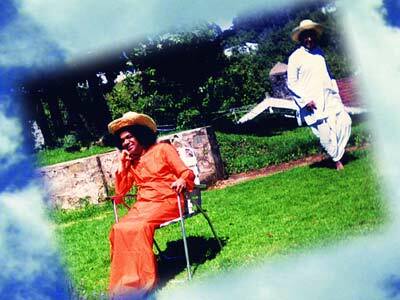 In this context Swami says that God does not change and that it is only man who changes. One day he says God is good another day, he says God is not so great! The problem is always with man and never with God. AK: Yes sir and He gives an example also. When we go by train to Bangalore, we say, as the city is approaching, “Bangalore is coming, Bangalore is coming”. And while departing from Bangalore, “We say Bangalore is gone”. Bangalore neither comes, nor goes. It is only we who go there and leave from there. GV: Any memorable incidents that you can recall from your Kodaikanal trips? AK: Yes. 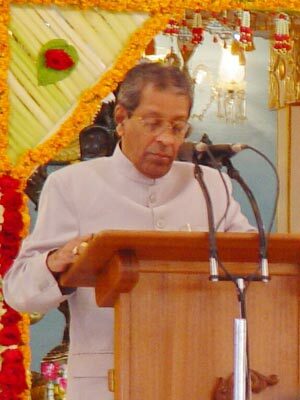 In Kodai, Swami often distributes all sorts of things, including peppermints, chocolate bars, and so on. Suddenly one day He said, “I am here distributing all these sweets and chocolates for you to eat, but there is one fellow who is not eating; instead he is dumping them all into his bag. Come on boys! Search everybody’s bags.” It was something like an income tax raid (laughter)! Then I said, “Swami, Bhagavan, why all this trouble? I am the one who is not eating. 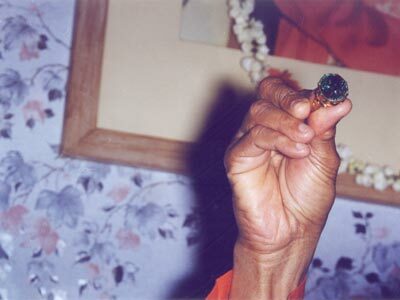 I am keeping them all in my bag.” Bhagavan then asked, “Why do you do that?” I replied, “Swami I have four children. They expect something from me. When I take back these most precious things like peppermints - whatever You give is most valuable for all of us – when I hand over these things, the children will jump in joy”. Swami said, “Oh, is that so?” He then told the boys, “Hereafter, you give Anil Kumar five pieces of sweets, four for his children to be kept in the bag, one for him to eat along with you and feel happy”. How can I ever forget that incident? 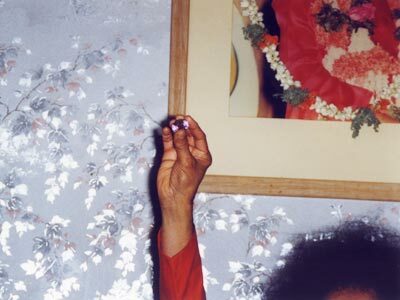 I don’t recall anybody loving me more than Bhagavan Baba. In fact, this is the feeling of every devotee. This is the chance you have given me, sir, to describe my experience which is also the experience of millions of devotees the world over. GV: What does Swami expect in return for all these? This is a sort of typical human question, because I do know that God does not expect any returns. In any case, let us hear what you have to say. AK: Swami only wants us to learn from Him that just as He loves us, we must love our family, fellow human beings and God. And that is because God is Love and Love is God. Always Live in LOVE - that is His message. GV: I am told that one year on Eswaramma’s day, Swami distributed blankets to the poor and then went out distributing to people who could not come to Sai Sruthi or the Mandir in Kodai. Were you present at that time? That seems to be a very unusual and moving incident. Why don’t you tell us about it? AK: Yes, blankets were first distributed to all the poor people who assembled in Sai Sruthi that day, the 6th of May celebrated as Easwaramma day. Suddenly Swami said, “Let’s go!” He got into His car and the convoy started moving. On the way, whenever He saw poor people He stopped the car, got down and started personally distributing these blankets. GV: Did He explain why? AK: Bhagavan said you should do everything to care for the poor, the needy and the forlorn. This is a lesson that everyone should learn from Bhagavan. You should not expect them to come to you for service; instead, you must go to them, the Daridra Narayana or God disguised as the poor. GV: Was it also because some of them could not come because they were disabled? AK: Absolutely. Not only that sir, on our way to Kodaikanal, His car would sometimes suddenly stop whenever He saw a beggar or a village woman carrying a head-load of firewood. He would call them and give money; these are people who have never seen Swami before nor know anything about Him, much less that He was SAI BABA. He does things like that all the time. When I give Him a strange look, Bhagavan says, “I just cannot bear to see these poor people suffering like that”. Sir, I think you will be more thrilled and excited if I say, that in Kodai, Bhagavan purchases fluffy candy or candy puffs. Once He purchased about twenty five of them and took them in His car – His car was full of that stuff. Later He distributed them to VIPs. They were just amazed. Bhagavan then said, “Do you know why I bought them? Here, in Kodaikanal there are some aged people, they cannot move about and their children carry on their livelihood by selling these candy puffs. So when I purchase them, they go back home with money and give to their parents and that day is taken care of”. From that day, every body started purchasing candy puffs. For twenty five candy puffs you may have to pay about ten rupees, but Swami gave them five hundred rupees. I asked, “Swami, why so much?” He replied that it was not the price of candy that He was giving, but His Love! It is not the price of the candy, it is the love of Bhagavan towards them. I was really so happy when one day He called the boys and told them, “Boys, look here, you have seen Tibetans girls selling woollen garments. Everybody go and buy so that they will be happy!” When Sai Baba is in Kodai, they all have very good business. And then you must have heard about the straw hats.